We are excited to invite you and your family for a free and inspiring art experience at Contemporary Craft’s RADical Day on Saturday, September 22. Discover the thinker, philosopher, and art critic in you – explore Transformation 10: Contemporary Works in Found Materials, an innovative art exhibition that features 26 national and international selected artists who incorporate recycled, reclaimed, and found materials in their work in unexpected ways that will challenge your notions about commonplace objects. Discover the maker in you – Experience making beautiful handmade paper with local mixed media artist Katy DeMent from 10AM to 2 PM and get creative in our Drop-in Studio with free hands-on art activity designed by a Transformation 10 exhibiting artists, Michelle Stitzlein. Spent some time creating an artwork, talk about the exhibition you saw, and relax a bit. Discover the collector in you – find functional artwork in The Store handcrafted by contemporary craft artists from all over the US, decorate your room with one-of-kind wall art, dress up in statement jewelry, and drink/eat from handmade tableware. 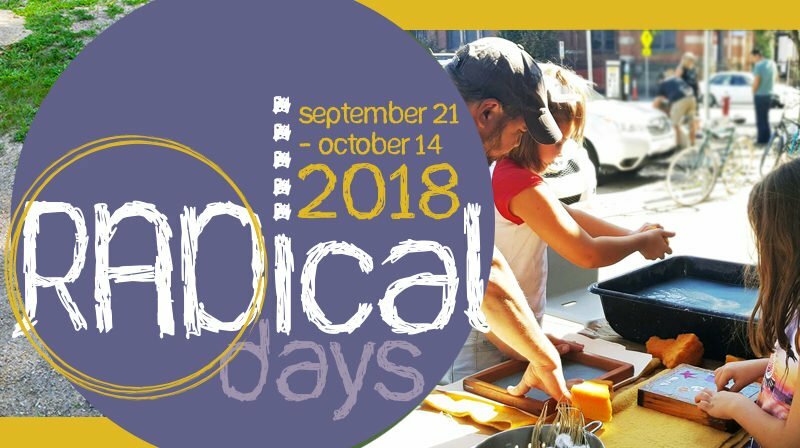 RADical Days is an annual event celebrating the assets with free admission, musical and dance performances, and family activities offered by arts and culture organizations, parks and recreation, and sports and regional attractions that are funded by Allegheny Regional Asset District (RAD). RADical Days 2018 will take place from September 21 – October 14, 2018.